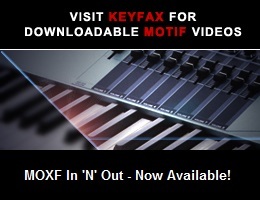 Viewing topic "No sound anymore on any XS output. Is there a usual culprit?" After years or merely crackling loudly when the volume slider is moved, my XS8 now switched to outputting no audio. (Everything else still works.) Its lack of audio is not caused by a Local mode setting. Before considering replacement of parts, let’s explore a bit. Local Control “off” isn’t the only setting that can cause there to be no audio output. Tone Generator Output Volume set to 0 (zero) in Utility mode can do the same. You might want to do a factory reset and see if that resolves things. If not, let us know, and we can discuss this further. Thank you for your help 5pinDIN. I checked Utility / Tone Generator Volume, it was at 127. I did a factory reset via the Utility / Job / Factory Set route, the XS8 is still mum as before. Thank you for your help 5pinDIN. I checked Utility / Tone Generator Volume, it was at 127. I did a factory reset via the Utility / Job / Factory Set route, the XS8 is still mum as before. Is that true not only for the PHONES, L/MONO and R outputs, but also for the ASSIGNABLE L and R ones? Signal has to be specifically sent to the assignable ones, and can be done in several modes. I suggest checking in Performance mode. See Output settings—[SF2] Output on pages 152-153 of the XS Owner’s Manual, (4) Output Select. Set one or more of the Parts to “asL+R”, play the keys and determine if those outputs are “mum”. Connect the mic to one of the A/D INPUTs, set Mic/Line in Utility mode to “mic” (page 263 of the manual), turn up the rear panel GAIN control, and see if there’s signal at the outputs. The assignable outputs can also be selected - for Performance mode settings, see Output settings—[SF1] Output on pages 147-148. Set (4) Output Select for the A/D Input to “asL+R”. Let us know what you find, which will determine the next troubleshooting steps. I did both the tests suggested, there is no audio coming out of the XS anywhere. After the mic test (which could have as well meant, the mic I used last time ~4 years ago quit since) I next changed the XS’s Input Mic/Line parameter back to Line and patched the L main out of a second keyboard, playing a sustaining arp into the XS AD too. With that known good audio signal the XS still remained mum. 1) A failure of the DAC (Digital-to-Analog Converter) for L/MONO, R, and PHONES could have explained no output from them. However, the ASSIGNABLE outputs also are dead, and since there’s a separate DAC for them, it’s unlikely there’s a DAC failure. 2) A Tone Generator failure could cause lack of tones, but since signal applied to the A/D INPUT also doesn’t get through, the Tone Generator is probably not the culprit. The situation seems to point to either a failure of digital audio getting to the DACs or the output amplifiers not working. Based on your location, the XS8 may have been exposed to humid “salt air”, potentially causing corrosion. If that’s the case, it’s possible that cables interconnecting the pc boards might not be making good contact. Sometimes just “exercising” the connections - removing and reinserting them a few times - can reestablish contact. The ones I’d suspect the most are those going to the JKAN-JA (Jack) board, especially the 40-pin one from the DM (Digital Main) board. There are other possible causes of lack of sound (muting circuit problems, incorrect/missing power supply voltages, etc. ), but that gets deeper than I’d like to cover in the forum. If you decide to open the XS8, be careful. Disassembly instructions for that model begin on page 32 of the Service Manual (https://elektrotanya.com/yamaha_motif_xs6_xs7_xs8.pdf/download.html). It’s important to hinge the top panel open less than 90 degrees - exceeding that can damage interconnections and some of the boards. If you don’t have the necessary tools and experience in electronics, do yourself a favor and let a qualified technician service your Motif. I will open the XS8 and wiggle the connectors. I opened it several times in the past, mostly for (successful) stuck key cleanouts. Would you like me to take a photo of any XS8 subassembly for a quick visual check? I can put the photo online easily. My only equipment with a SPDIF Input that is 100% trustworthy is my Korg Triton Studio keyboard. I can connect my XS8 to it and see what happens via SPDIF, as soon as I find my one SPDIF cable. Other than the Korg, I still have 8 different vintage audio interface boxes with SPDIF on the shelf, but all require FireWire which my current laptop lacks. If I ran them self powered without a computer host and no audio came through via SPDIF to the headphone outs, there would be no telling if the issue wasn’t the interface box itself. I suggest that you check the DIGITAL OUT (S/PDIF) signal, exercise the board connections, and let us know the outcome. Unless you see something obvious when you have the XS8 open, I don’t think photos will be helpful at this time. Not much success yet in the SPDIF (uphill) battle. As I found out, the XS8 uses RCA for SPDIF outs, everything else around me, including the Korg Triton has Toslink. I tried powering up two ancient FireWire interfaces that had both Toslink and RCA digital ins, looks like they won’t run standalone, after I finally unearthed a matching 12V 1000mA adapter on the 300th try to power them up. So I ended buying one of those $8 “Digital to analog” audio converter matchboxes on ebay. It will be here in maybe a week, then we’ll know if any audio appears on the XS8 digital outs or not. I’ll carefully wiggle the XS8 internal connectors tomorrow. If it restores audio, I’ll report back right away. ...aaand, with the $8 digital matchbox, we have sound! For the first time in a year and half, I hear audio from XS8 today. Only from the digital out, though, and the XS8’s Volume slider has no influence over the volume whatsoever. As far as unconnecting/reconnecting the connectors, I went through them all on the JKAN-JA board a week ago - except the main culprit, the 40-pin connection from the DM. I don’t see where this 40-pin connection is supposed to come apart, it looks monolithic, soldered to the board. (Maybe my eyesight is not the strongest anymore). Perhaps it takes some special shaped plier to unlock this cube by pushing some hidden corner? Looking inside, I didn’t observe any noticeable corrosion. I did notice a bunch of ants running out, though. 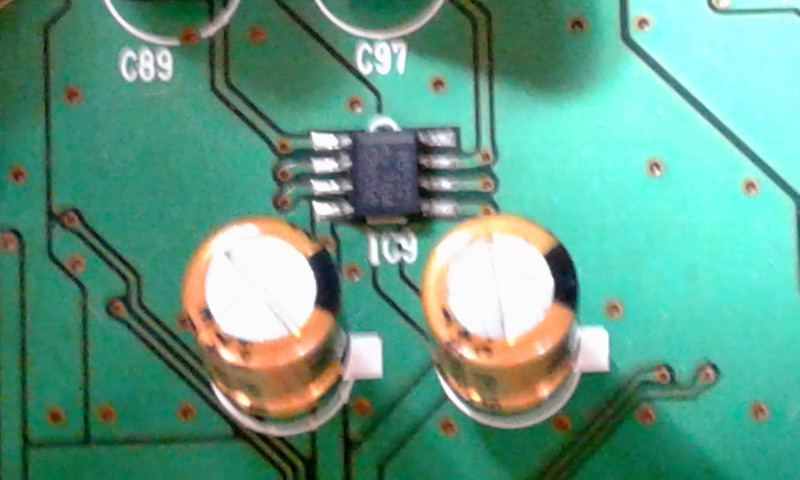 The MASTER VOLUME slider is in the analog part of the circuit. It’s normal for the slider to have no effect on volume of the DIGITAL OUT signal, which is taken off before the DACs. The 40-pin cable is an FFC (Flat Flexible Cable or Flexible Flat Cable). There are connectors at each end. It’s been a while since I’ve had to deal with that particular connection, and I don’t remember the specifics. Some of them release by either pushing down or pulling up on the outer shell of the connector. Yamaha typically used Kyocera ZIF (Zero Insertion Force) and LIF (Low Insertion Force) FFC connectors. If you want to further investigate how they function, I suggest an internet search using those terms. On the other hand, rather than chancing damaging things, you could just gently move the cable side to side within the connectors while it’s still inserted, and see if anything changes. OK, although sometimes corrosion can be subtle - and ants probably aren’t doing anything helpful. So far it’s obvious that the Tone Generator is OK, and much of the digital circuitry is as well. The XS8 has mLAN standard. Have you tried using it? If your computer has FireWire available, mLAN would be a way of further testing what’s working and what isn’t, and it can provide another way to get audio out of (and into) the XS8. If mLAN is shown to be working, that could tend to point to problems with the analog circuitry on the JKAN-JA board. There are a few things that can lead to loss of output on all the Main and Assignable outputs. Do you have a multimeter, and experience using it? If so, I can make some suggestions of what to check to further narrow the cause of the problem. I am browsing Kyocera’s ZIF connector inventory online since hours, not one entry looks like the 40-pin connector inside my XS8 (photo). I wiggled the ribbon cable sideways at both ends, no change. For Firewire /mLan testing the only CPU I have in storage with Firewire is a Mac G5. I think I already tried connecting that G5 to the XS8’s mLan port some 6 years ago to see if anything happens and nothing did. Would a G5 be any useful for our XS8 mLan testing purpose? (It’s stashed behind a 8 foot tall wall of ~1 ton of books in storage.) My current Asus R500V laptop has no card expansion ability to add FireWire to it. I do have a no-frills Power Gear multimeter. If you tell me what to set it to, and what to touch with the electrodes, I’m ready to do it. Other than this, the $8 doohickey keeps working like a charm converting digital audio from the XS8. Since I always only used the main stereo (analog) outs from the XS8, if nothing else works, I can just keep this doohickey on to be back in business. ZIF connectors are used because FFCs by themselves are often too flexible, and can’t easily be inserted into non-ZIF connectors. However, thanks for the photo - it shows a blue plastic stiffener that’s sometimes glued to FFCs to make them able to be inserted into non-ZIF connectors more readily. The cable can be removed by grasping both it and the stiffener while pulling, but please read on before attempting that. Presuming that you could extract the Mac G5, and that it was still functional (that is, not suffering from bad capacitors, a somewhat common problem), it would require installation of the Yamaha Steinberg FW Driver appropriate for the computer’s OS. Additionally, the XS8 would need the IEEE1394 firmware to be updated. If all went well, the XS8 and Mac could “talk” to each other. ...it seems that you’re basically satisfied with using DIGITAL OUT. Unless you’re well accustomed to doing electronic work, there’s a chance of a “slip” with the meter causing additional problems. I’m willing to provide further guidance, but perhaps it might be best to leave well enough alone. Let us know. I’d like to find out where I stand with this XS8. 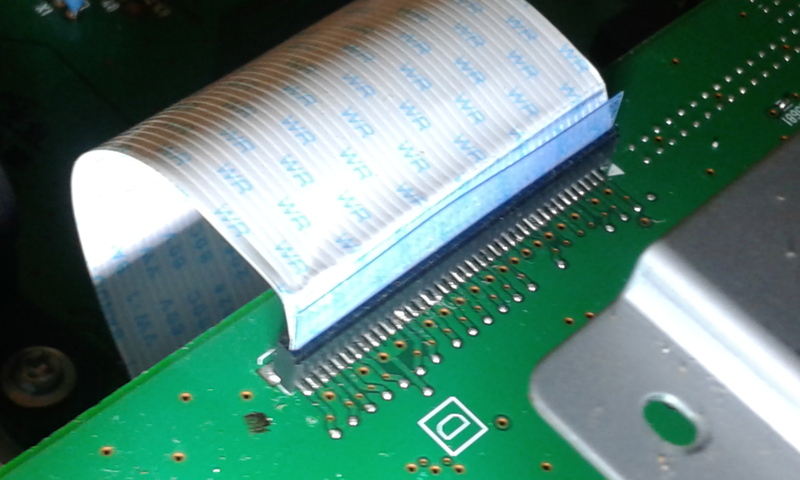 Whether the JKAN-JA board or the 40-pin cable is the problem, and whether either could be replaced without soldering. If the defective part can be replaced without soldering, I’ll just save a search on ebay for it, get it when someone puts one up on auction and replace it. I understand, but we’ll have to see if sufficiently definitive testing can be done with what you have available. The cables and JKAN-JA can be replaced by disconnecting and removing screws, respectively. No soldering is required for those operations. It would initially be helpful to verify that the mLAN is operational, but from your description of the situation, that doesn’t seem easily accomplished. Since you have a multimeter, the voltage supply for the analog chips could be checked. I’ve attached a diagram of a part of the JKAN-JA board, near the ASSIGNABLE jacks. The voltage readings need to be taken between a couple of pins on IC9. Before I go any further - do the meter probes have small enough tips to allow making contact with pins on that chip without risking shorting them? If I need to point the electrode into the brown circle, and not touch the chip leg or silver stripe, I can manage that. It’s starting to dawn on me, any hopes of me swapping out a bad JKAN-JA board or cable by itself are at present illusory due to the fact, that I simply can’t get the current 40-pin cable out. It won’t budge, even when I pull on the stiffener from both sides. So I ran a search on XS8” on ebay, looking perhaps someone sells a dropped XS8 for peanuts from which I could remove the JKAN-JA an DM boards still connected by the 40-pin cable as one. Well, nope, but the XS8 search found something else. This awful 40-pin connector itself, it’s a “WC199000 FMN Connector”. I’m looking at the ebay picture and I still can’t tell how, if ever, this thing is supposed to come apart. Further gumshoeing reduced the circle of likely manufacturing culprits to JST Manufacturing Co. They have a whole bunch of FMN connector PDFs, but not one tells how the dagnabbit thing opens.